There are in excess of 6,000 reinforced concrete car park structures within the UK. Many of these are multi-storey and above ground however many other parking structure types can be found in most cities and towns around the country. They are in basements below buildings including commercial offices, civic centres and shopping malls. They can also be found on the roofs of supermarkets and hospital blocks and they can also be single or multi-deck structures adjoining – even sometimes linking – buildings. 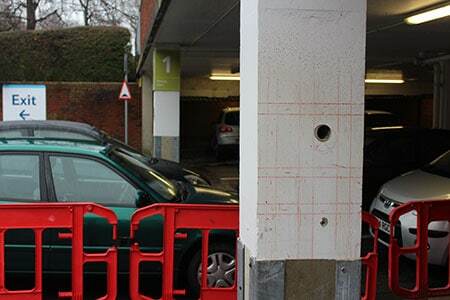 In order to implement an effective repair and protection strategy to a reinforced concrete car park structure, it is essential to understand the underlying causes of the defects that the structure is exhibiting. Only once these have been thoroughly understood should the structure undergo a programme of remedial treatment. 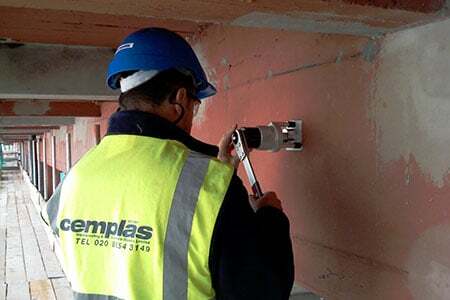 Cemplas have a dedicated team and specialist resources trained in the various diagnostic techniques that are normally required to be undertaken as part of a Concrete Condition Survey of a reinforced concrete car park structure. 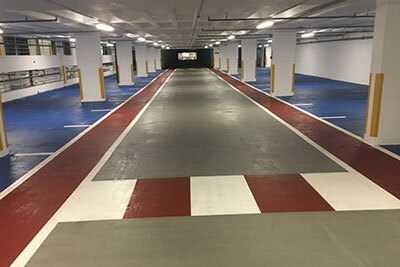 We can provide a comprehensive programme of condition testing to help you understand what has happened to your car park.